Read and follow the suggested operating instructions for the Catalytic Generator you are using. Ethy-Gen® II Ripening Concentrate is a specially formulated liquid for use with our generators. The generator converts the Ethy-Gen® II to ethylene which triggers the bananas to start producing their own ethylene. This is a natural ripening process. Ethy-Gen® II will not ripen bananas without being converted to ethylene by the generator and the use of liquids other than Ethy-Gen® II in the generator may cause damage, dangerous gases, and require expensive repairs to the generator. The room must be as air tight as possible to prevent too much of the ethylene from leaking out. The room must be properly insulated to be able to control the temperature within a few degrees. The room must have adequate refrigeration. Bananas produce large quantities of heat when they are ripening. The refrigeration equipment must have the capacity to accurately control the pulp temperature. The room may need heating equipment in order to maintain proper room temperature in cold weather. Electric heating elements have proven the most satisfactory and are often a part of the cooling system. Open flame type heating should never be used. The room must have adequate air circulation. Because uniform pulp temperatures throughout the load are essential for even ripening, the refrigerated air in the room must circulate at all times and uniformly throughout the load. The room should be constructed so that the air flow path from the refrigeration system, through the load and back to the refrigeration system is unobstructed. Proper air flow patterns are of the utmost importance. Perhaps the most important advancement in fruit ripening since the advent of the banana box is the development of Pressurized Ripening Rooms. The key feature of these rooms is that conditioned air is forced through the product rather than the product just being stored in a temperature controlled room. The system passes air though each pallet or series of pallets before returning to the evaporator. Therefore, any “air-stacking” or “cross-stacking” of boxes is not necessary, and the result is less handling of the fruit and improved product quality. For non-pressurized rooms, the boxes of bananas should be “air stacked”. That is, the boxes should be offset to allow the air to circulate among all the boxes since a non-pressurized room design will not pass air through boxes but around them. Avoid “chilling” or “cooking” the fruit. Bananas are very sensitive to temperatures. Chilling will occur if the fruit is subject to temperatures below 13.3°C for several hours. It causes the peel to have a smoky, dull gray appearance. This may not show up for 18 to 24 hours after chilling occurs. Cooked bananas result from excessively high temperatures. The peel will have a brown to orange appearance. The fruit may be soft and have a short shelf life. Maintain proper humidity levels. For best ripening results, humidity should be 85 to 95%. If the humidity is too low, install a humidifier; wetting the floor of the room with water may increase the humidity but may cause sanitation issues. Apply ethylene for a minimum of 24 hours during the initial phase of the ripening cycle. We recommend 100-150 PPM. To achieve this, the generator setting will depend on the size of the ripening room. Please note that all rooms vary in terms of how air-tight they are, so if more precise PPM determination is required, air testing for ethylene PPM levels is recommended. Follow the “Suggested Guide for Banana Ripening” chart. Note that the temperatures given are pulp temperatures and not room temperatures. When bananas are ripening, they release carbon dioxide which will build up in a ripening room. The CO2 production begins as the fruit ripens enters the “climacteric” phase, or the period when bananas release ethylene and and have an elevated rate of respiration (along with a great deal of other physiological changes). Respiration involves the uptake of oxygen, the release of carbon dioxide, and the breakdown of starches. Carbon dioxide concentrations above 1% (10,000 ppm) will retard ripening, delay the effects of ethylene and cause quality problems. Therefore, it is recommended to vent rooms by opening the doors for 20 minutes every 12 hours, after the first 24 hours of ripening. Other venting methods are by automatic fan (either timed or sensor-based) or “flow-though” (constant) ventilation. Bananas bruise easily, green or ripe. Careful handling at all stages will reduce bruising and enable you to sell the bananas for more money. 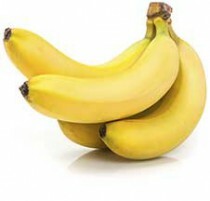 For more information on bananas and other fruits, please visit the web site of UC Davis. A great resource for any Fruit Ripener is a publication from UC Davis entitled “Fruit Ripening & Ethylene Management”. Click this link for more information. These recommendations were amassed from a diverse number of sources for use by clients of Catalytic Generators Australia. While we have made great effort to provide accurate and current ripening techniques, Catalytic Generators makes no warranties regarding these recommendations or the applicability of such information to a particular ripening operation. Please note that we do not provide these recommendations as a replacement for technical ripening experts; if having ripening problems or starting a ripening program, we suggest that professionals be consulted.